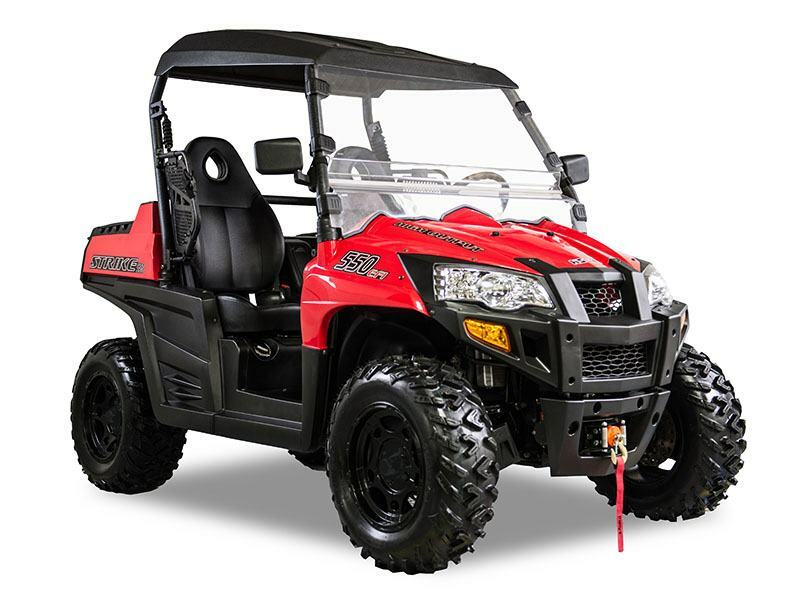 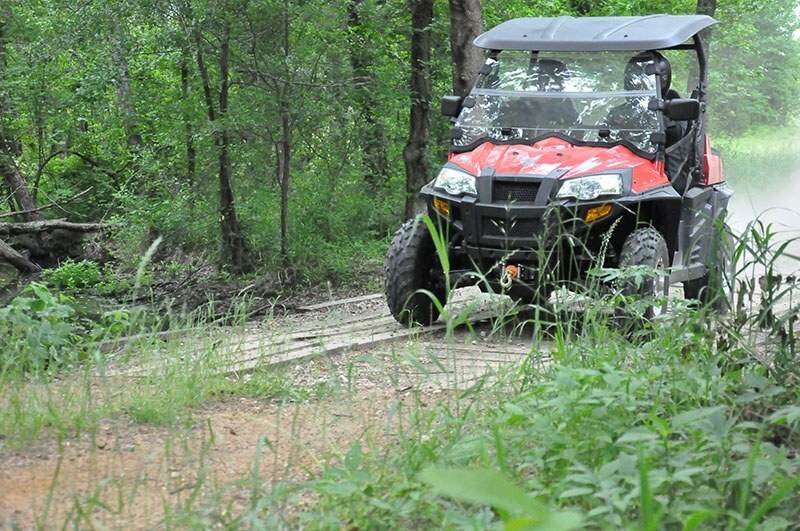 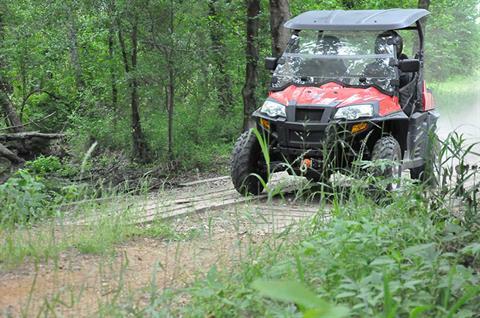 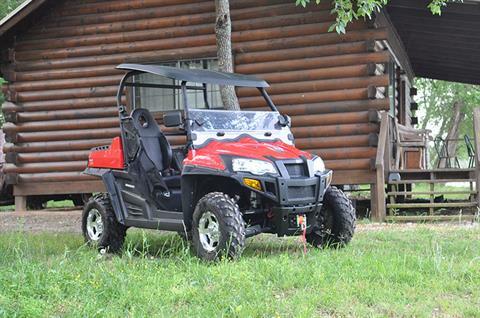 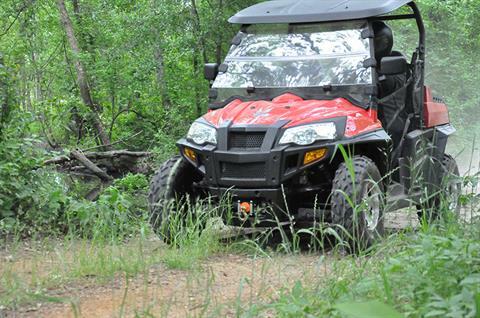 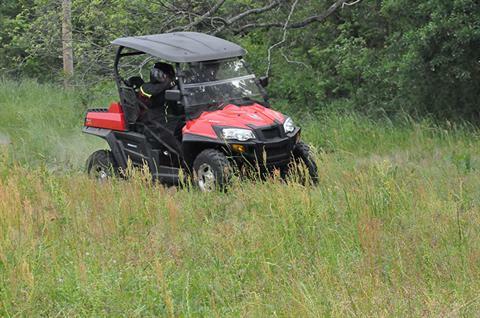 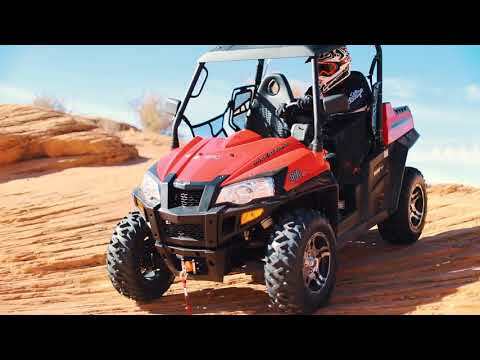 Equipped with a 4-Stroke - OHV Single Cylinder, EFI Engine, Automatic CVT Transmission and Independent Dual A-arm Suspension; the Strike 550 is ready to go. Standard accessories on the Strike 550 include a 3,500 lb. 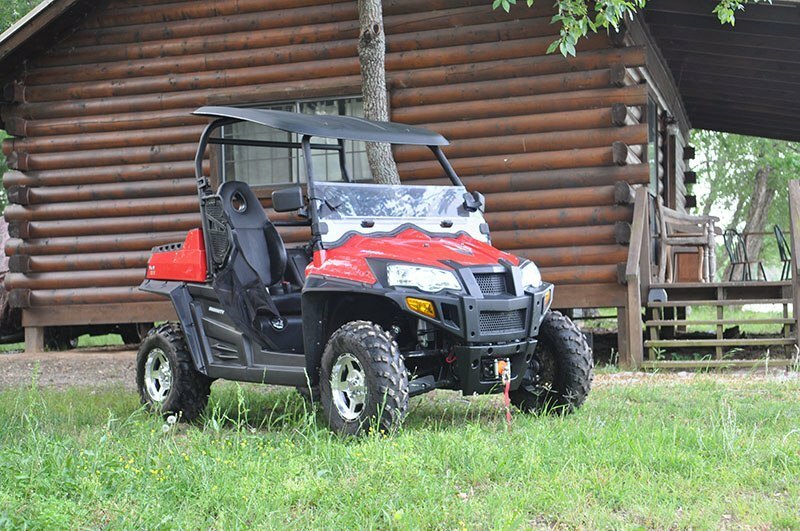 winch, aluminum rims, roof, windshield, headlights and turn signals. 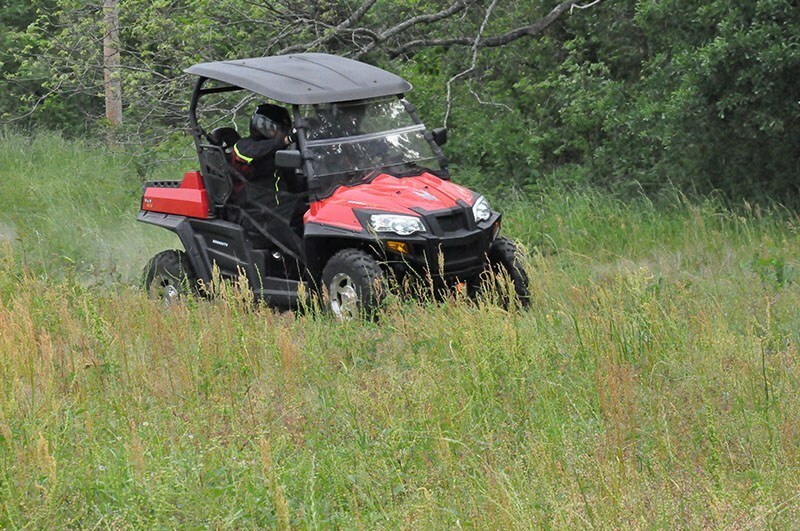 The more narrow Strike 550 allows you access to areas many Side x Sides wouldn’t dare to tackle.